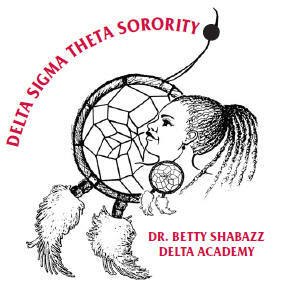 Beginning in 2008, the Contra Costa Alumnae Chapter implemented the Dr. Betty Shabazz Delta Academy program. This is a National Program of Delta Sigma Theta Sorority, Incorporated which provides a unique opportunity for at-risk teen girls between the ages of 11 and 13 who reside in the Contra Costa community. The program offers mentoring, educational activities, and service learning opportunities to the participants. Anchored in the basic tenets of Delta Sigma Theta Sorority; Sisterhood, Scholarship, and Service. Delta Academy promotes social skill development in a group setting and expands the young ladies talents while building self-esteem and leadership skills. The goals of Delta Academy are achieved through workshops and meetings with the women of Delta Sigma Theta, field trips, bonding activities, community service and more over an eight month period. This year, Delta Academy’s major emphasis has been to empower young women, provide guidance with the transformation of youth to teen girl, etiquette, and respect among women. CCAC provides structured activities to approximately 15 registered girls annually. There is no fee for this program. Please continue to check the website for updates regarding the 2018 application. If you have any additional questions, please email deltaacademyccac@gmail.com.